NOW SUPPORTS MULTICAST RELAY ACTIVATION! 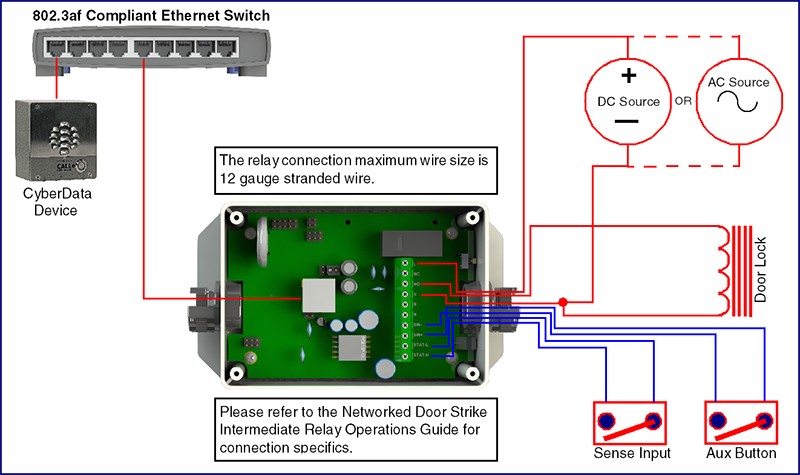 The CyberData Networked Door Strike Relay Module is PoE-powered (802.3af) and provides an encrypted communication method for secure access, when used in conjunction with a CyberData Intercom. Additionally, as part of a networked security infrastructure, the Relay Module allows monitoring and control of devices that require high current switching such as strobes or sirens via multicast address. Dimensions 6.000" x 3.570" x 1.575"